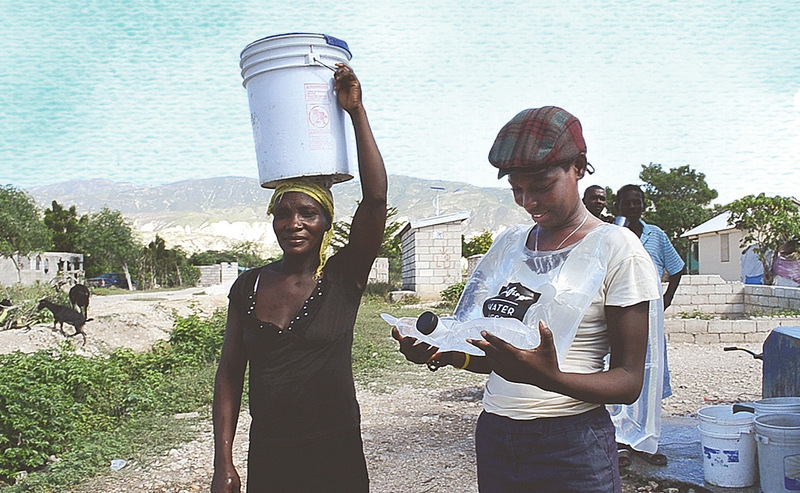 In Haiti, Ethiopia and the Dominican Republic, women and children haul water in five-gallon buckets on their heads—a common practice in rural communities worldwide. It’s an image that Fritz Yambrach remembers from his childhood, when his missionary teachers would share photos from their trips to South and Central America. Decades later, the director of San Jose State’s Nutrition, Food Science and Packaging program discovered that he could use packaging techniques to lessen their burden. Yambrach teamed up with industry colleagues to design the Fritz Water Vest, an anti-microbial, ergonomic water carrying device made of low-cost materials—and winner of the 2017 DuPont Diamond Packaging Innovation Award. He says that “appropriate” design can accomplish as much—if not more than—“cutting-edge” technology. “Our attempt was to make something at-cost and get it out there for people to use, to show that our industry does make significant contributions to the culture—to the world,” he says. Yambrach’s team went to Haiti after the 2010 earthquake, where they recognized additional applications that the vest could have for disaster relief agencies. The hands-free design helped people access potable water and allowed them to accomplish simultaneous tasks. The feedback from subsequent beta tests in Ethiopia demonstrated that one vest could impact an entire community. Yambrach hopes to provide Fritz Water Vests free of charge to nonprofits serving the communities that need it most.